The IBL Mini is the ideal choice for those companies, who would like to have the opportunity to clean small parts and surfaces, without having the usual constraint for a high air flow compressor. Daily maintenance on processing equipment and electronics or the occasional cleaning of parts is easily carried out with the IBLmini. The IBL3000 was developed in close co-operation with a customer, who had specific needs for operating a dry ice blaster in an environment with many challenges. Size and simplicity combined with the known strength and durability of the IBL4000 were the key facts. 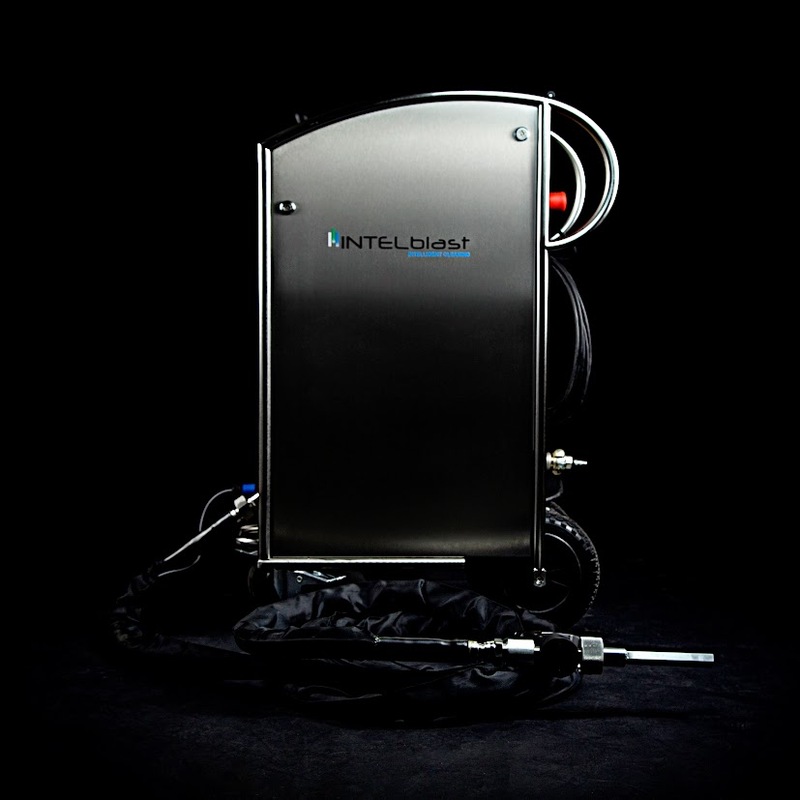 With the IBL 4000 INTELblast has taken the most advanced technology and decades of user experience into creating an unprecedented strong and user-friendly blaster. Attention is on trouble-free operation with maximum cleaning performance. We are sure that you will find this indistinguishable from magic. 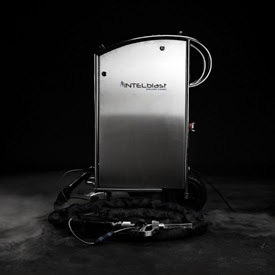 Ductwork inspection and cleaning robot. All in one! With the IBL 5000 INTELblast has taken the most advanced technology and decades of user experience into creating an unprecedented strong and user-friendly blaster. Attention is on trouble-free operation with maximum cleaning performance. We are sure that you will find this indistinguishable from magic. 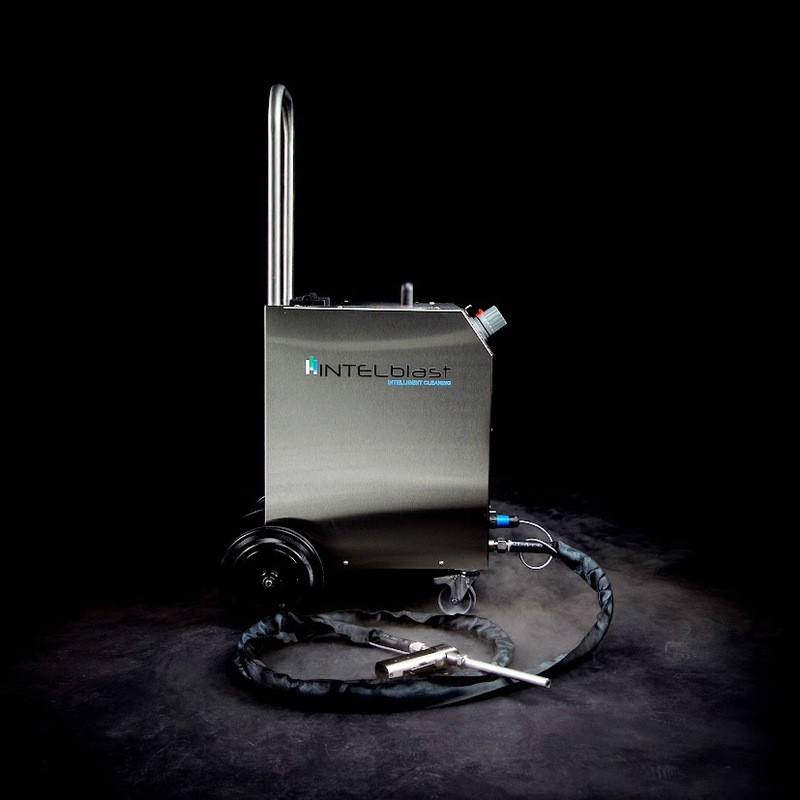 INTELblast and partners are offering a wide range of industrial cleaning services that requires a high level of know-how, experience and technology. We have specialized in blasting technologies involving lava, granite, dry ice, ultra high pressure water blasting and ductwork cleaning. The European standard for cleanliness of ventilation systems (EN15780:2011) sums up in short the importance of keeping your ventilation system in a good shape. "Cleanliness of ventilation systems is considered important for human comfort and health, energy consumption, system service life and for cleanliness of operations or processes carried out in the ventilated area". Christmas Shut down? Schedule Dry Ice Cleaning! With Christmas shut down quickly approaching, INTELblast would like to remind you of our CO2 dry ice cleaning services. Dry ice cleaning in plastic injection industry! On time - quality at the right price! INTELblast is offering a wide range of specialized cleaning services that requires a high level of know-how and expertise. We are trained and certified by the INTELblast Group, which is your guarantee for a "job well done"! Dry Ice or CO2 blasting is a relatively new cleaning process using solid CO2 pellets (known as dry ice). pellet to a vapor) leaving a clean, dry surface with no residue. The underlying equipment surface is completely dry, undamaged and the waste falls to the floor. Dry ice clean your car! You can now easily and efficiently dry ice clean your car. Or we can do it for you. Get a good indoor climate, clean up your seats, floor mats, panels, engine compartment etc. so that salt, dirt stains, tobacco odor i.e. disappears. Cleaning boats with dry ice! Removal of anti-fouling paint from all type of boats. Quickly and effectively. A combination of lava and dry ice gives a uniform and clean surface, which gives a strong basis for applying the primer and paint again. Old paint is collected in controlled environment and disposed of according to regulations. Summer Shut down? Schedule Dry Ice Cleaning! Whenever a gentle, but powerful cleaning is needed, then dry ice blasting provides the balanced solution. Both when it comes to cleaning of sensitive parts in engines and electronics. But also for stripping paint.